Who among us doesn’t have photos that we’d never part with for all the money in the world? The problem with photos is that over the years, they deteriorate, and in as little as a generation, they can become blurred to the point where they’re virtually unrecognizable. 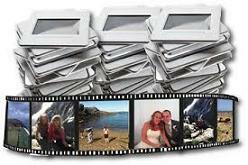 If you want to preserve your memories, the best course of action is to have them professionally scanned and digitized. At eRecordsUsa, we can take your photos – any kind, in any condition – and convert them to stunningly sharp digital images that will last for generations to come. 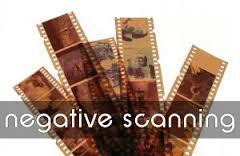 We work with snapshots, negatives, APS, 8mm, videotape, even your existing scans. Whatever you bring us, we promise to deliver it to you in an enhanced digital format. Typically, our clients for photo scanning are families or individuals who want to preserve precious memories, but we also serve artists who seek to preserve digital images of their work and businesses that want to keep a photographic record of projects in progress. Our pledge to you is that we will handle your photos with care and respect, deliver your originals back to you exactly as we received them, and offer you digital imagery that will delight you. We guarantee your satisfaction 100%. To learn more about eRecordsUsa’s Photo scanning service, call us at 1-855-722-6669. We would be pleased to speak with you and answer your questions.